If you need to store liquid foods like yogurt, soups and juices, there are chances that it can spilled over. 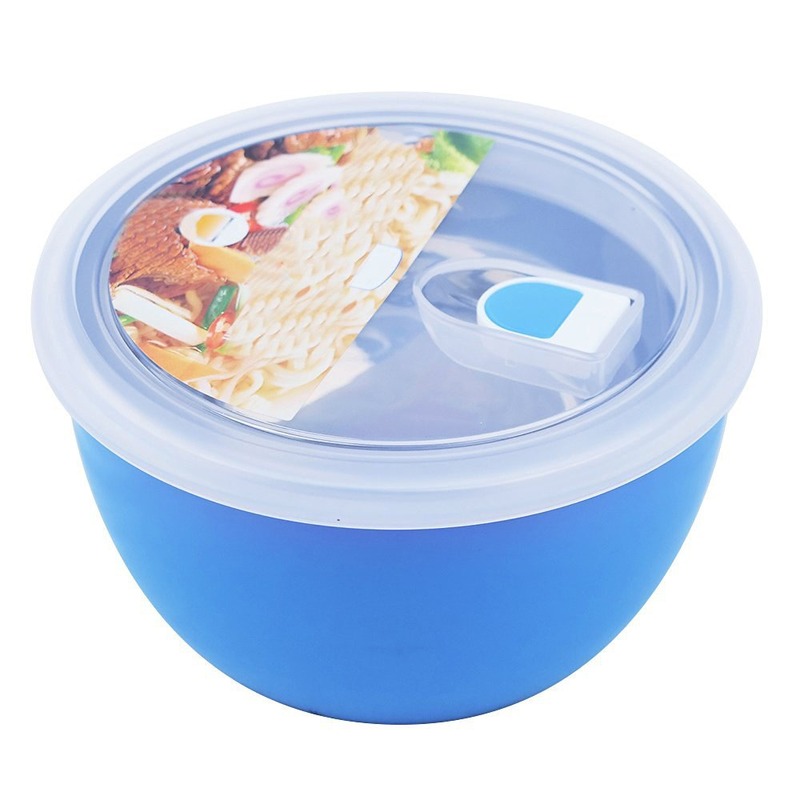 Hence, when choosing bowls, it is better to go after steel bowls that comes with a lid. 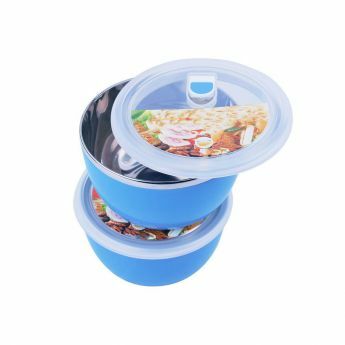 The set of 2 Blue steel bowls is a must have in every kitchen as they not only look stylish and attractive, they also help you to store all left over food safely inside the bowls. The package includes 2 steel bowls of capacity of 210 gms per bowl. They also help you to carry along food items easily wherever you go as the safety lid is specially designed to ensure that the lid stays closed until you open it. Hence you never need to worry about any leakage or spillage. The lid on top also comes with a small opening to allow you to easily fill the food storage container without opening the entire lid or pour some items easily and quickly. The designer steel bowls are made using high-quality and durable stainless steel that is highly resistant to corrosion, stains and heat damages. 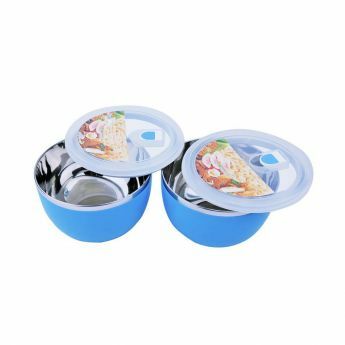 These steel bowls are completely dishwasher safe and hence you don’t need to worry about cleaning them manually with your hands. With a watertight locking technology, the food stays fresh, crisp and retains the original taste for a long time. 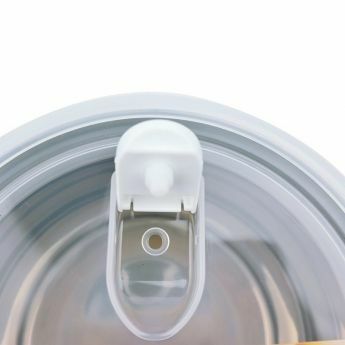 The lid is also transparent enabling you clearly see what is inside the bowl quickly. The steel bowls can be used for many purposes including mixing, storing and prepping.